What is the ChangeMaker Innovation Process ™? While the job market in the United States has changed significantly, K-12 classrooms often operate similar to the industrial era of the early 1900s. Students today are facing a world that is complex. Equipping students to navigate ambiguity and rapid change is critical. The valuable skill sets students can bring to the jobs of tomorrow must go beyond content and skills to deeper learning including innovation design thinking. The ChangeMaker Innovation Process ™ is a process with methods for creative problem solving. 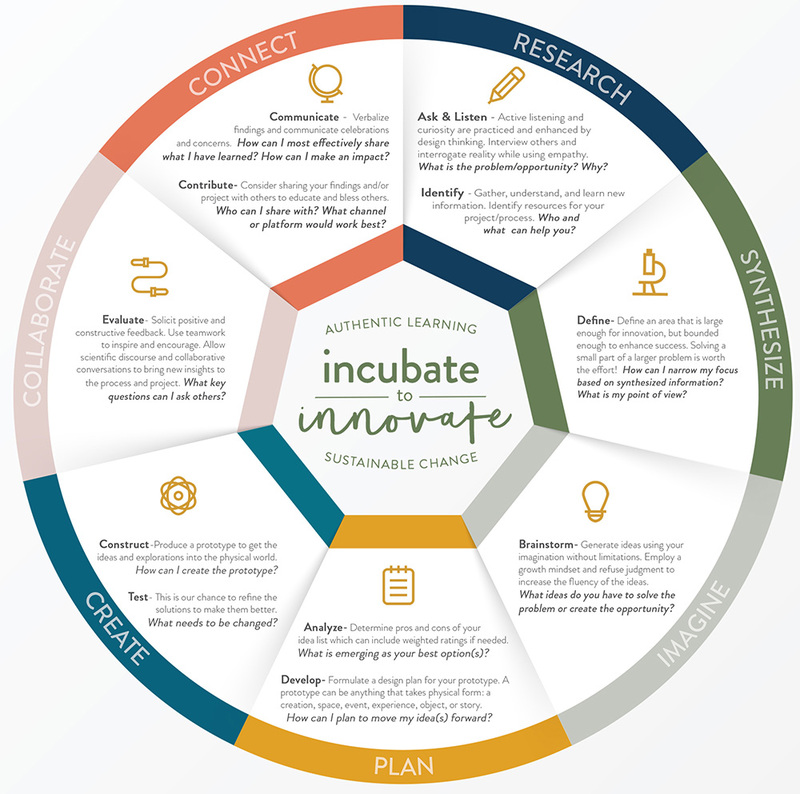 Utilizing the ChangeMaker Innovation Process ™ and Methods for Education book is the first step toward deeper learning in the classroom. Students learn most effectively when content is translated to meaningful, relevant, applicable work. Ultimately, we want students to be able to go out into the world to solve complex problems, create opportunities, and facilitate change. The ChangeMaker Innovation Process ™ is distinctive because it extends beyond the mode of “Create” to the modes of “Collaborate” and “Connect”. This fosters learning and growing from one another and encourages individuals to be good stewards of what they have been given by serving, sharing, and contributing their ideas out for social change and widespread impact.